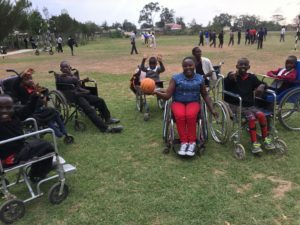 The money raised by Barny Dillarstone, Hugo Laffey and Andrew Callow through the Three Peaks Challenge back in February has so far been used to purchase sports equipment, new goal posts, a volleyball net and is now paying for the services of the Senior Physiotherapist from GilGil Hospital to work with some of the children with spina bifida and cerebral palsy. 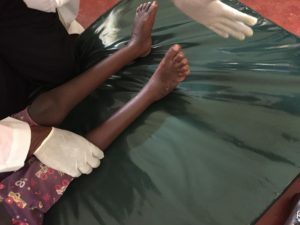 Sessions began at the end of term and were enjoyed by a number of children including a young girl, Rebecca who thanks to the generosity of UK sponsors recently underwent an operation to correct her club feet. The operation was successful and Rebecca now needs to build up strength in her leg muscles to enable her to walk unaided. She is currently able to walk with a frame and using the parallel bars. It is hoped that with hard work and determination a number of children may be able to gain more use of their legs. The children were given a huge boost when they were recently visited by the Real Hope Community Youth Organisation from Kawangware in Nairobi. 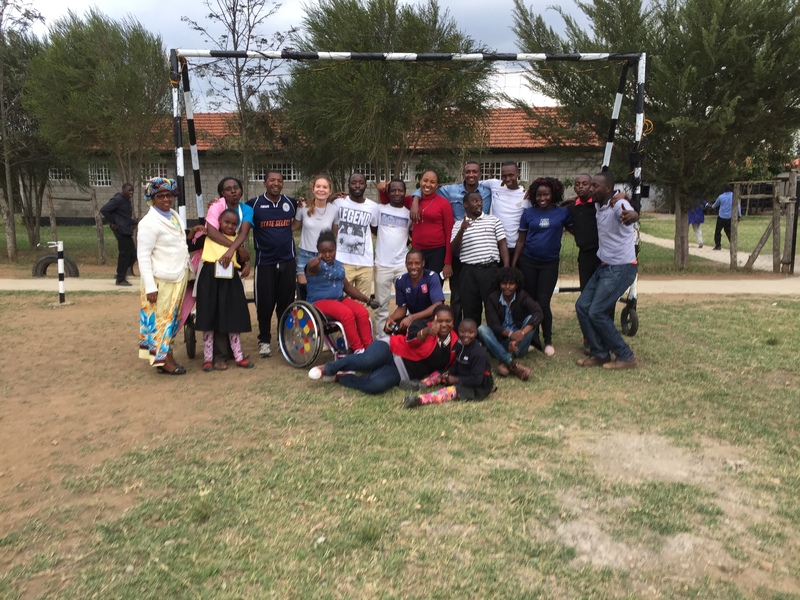 Members of RHYCO performed a puppet show and were joined by Caroline Wanjira (Kenya’s Women’s Wheelchair Basketball Captain) who played ball with the children.